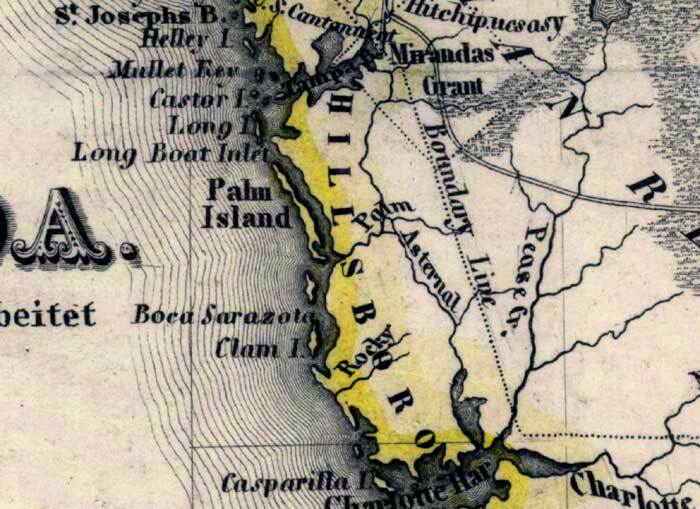 Description: Meyer's 1845 map of Florida is derived from the Tanner/Mitchell Universal atlas map of 1839. This detail of that map covers Hillsborough County. Routes of travel are covered along with major waterways. One of these for this detail is Tampa Bay. Islands on the coast are pictured, such as Palm Island and Clam Island.